I like it when small businesses are successful and expand, opening satellite stations. That usually means that the public approves of the product they sell, which is a fairly good indicator of quality and price. And as long as the expansion does not compromise those attributes that have made the product a success in the first place, the future might even bring further success and expansion. 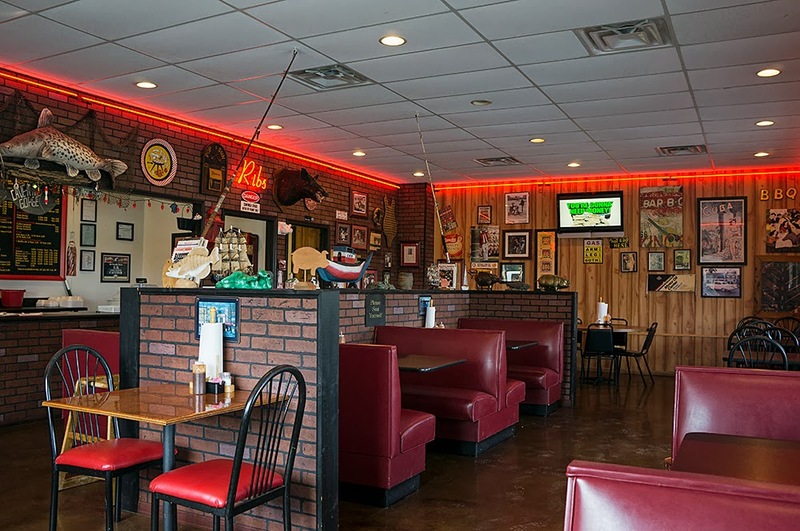 There are two locations where you can find John’s Bar-B-Que in Moulton. One is a log cabin that I already visited half a year ago, and one is in a typical boring small strip mall on Highway 157. Since I could not remember what I had the last time, I made the mistake to order the exact same thing again, although one of my rules is to order something different at each satellite location of a chain. Mea culpa. So, let’s just concentrate on the differences between those two places – which should be minimal. 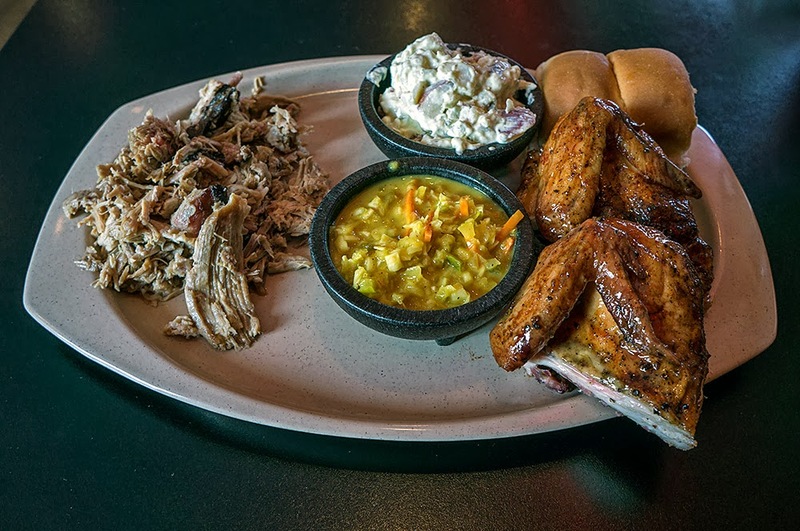 As before, I got the two meat plate with pulled pork and chicken, with potato salad and Jailhouse Slaw. But contrary to the Log Cabin, this time there were no hushpuppies served before the meal. Bummer! The pork was very tender and lean, with a nice smoke aroma, and that was also the case at the Log Cabin location. Same goes for the chicken, which was again a bit dry and with a lesser smoke aroma, but with a nice pepper infused crust that I did not register the first time. As fort the sauces, there was no difference. Their white sauce is sour and peppery as it should be, and very fresh tasting. Top notch, and still one of the best I ever had. The other sauces, a boring mild sauce and a mildly spicy red vinegar and pepper sauce, were acceptable for the pork if mixed together. The Jailhouse Slaw is one of the most interesting and tastiest side dishes I ever encountered at a BBQ place. It comes drenched in a mustard based sauce with enough spiciness to give you a recognizable kick in the pants. It can double as BBQ sauce, and they should really sell it in bottles (I’d take a case or two …). The potato salad had a hint of cinnamon in it, but not as pronounced as the first time. 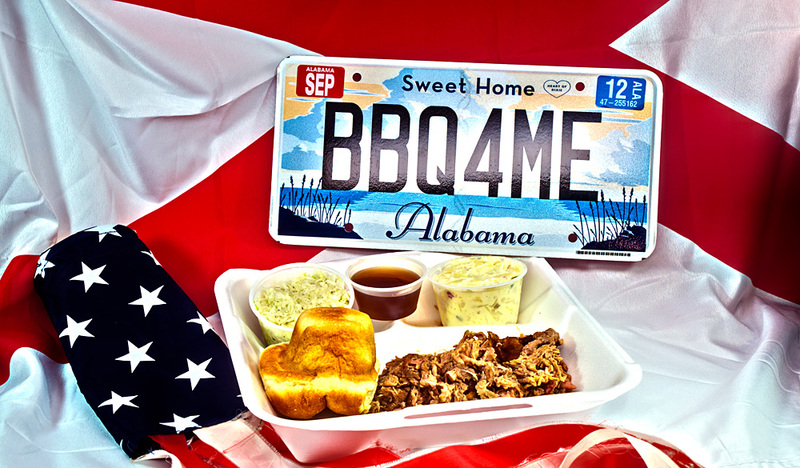 The meal, including sweet tea, was not the cheapest I ever had in a BBQ place, with about fourteen and a half bucks. But the quality of the food, and the very nice atmosphere do actually justify that price. The dining area has the usual red faux-leather benches and chairs, and some tables. The decoration is a whimsical mixture of BBQ related paraphernalia, like posters, pigs, and neon signs, and also some fishing related things like fishing poles and a stuffed fish. There is also the model of a three-mast bark, which is kind of odd at such a place, but speaks to my maritime past very much. The walls are wooden panels, and the counter is made out of brick. This all contributes to a cozy atmosphere, and the place is very clean, too. 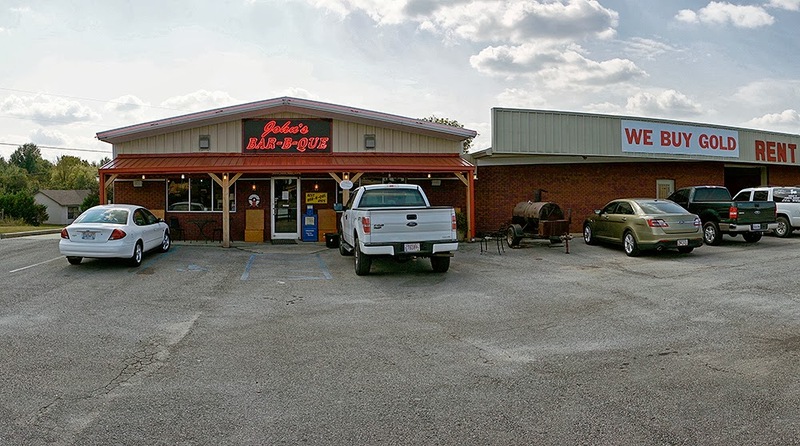 The Log Cabin is just a bit more authentic and quirky, and they serve fantastic hushpuppies, so all in all I would prefer that to the location on Highway 157. But if you just want excellent BBQ, and don’t care about the surroundings, either location will fit the bill.